Can I File My Income Tax Electronically If I Owe From a Previous Year? The IRS partners with several providers to receive and process e-filed returns. 1. Can I E-File a Return With a Deceased Spouse? 2. Can I E-file if I Owe? 3. How Much of Federal Withholding Do I Get Back? Each spring, the taxman comes knocking on your door asking for his share. If you owe on a previous year, it may muck up the waters of your financial portfolio. E-file is the quickest and easiest method of filing your tax return to the IRS. Even if you owe on a previous year, you may e-file your return for the current year. Just expect the IRS to take your refund if you owed money from the previous year. If you owe more money, it is tacked on to your balance. If you need to file the return for a previous year, you will need to revert to the old-fashioned paper method of filing. Even if you owe back taxes, you can still file your current income tax return electronically. Electronically filing your income tax returns comes with several benefits. E-filed returns are accepted by the IRS typically within 72 hours of receipt. Paper returns take six to eight weeks from the date the IRS receives them to process. Electronic returns only take three weeks to process from start to finish unless there is a delay in processing your tax return. You receive notification when the IRS receives, accepts or rejects your e-filed return. If it is rejected, you may quickly fix and resubmit to avoid delays. E-file also allows you to delay payment. You may e-file your taxes in February but schedule your tax payment to be paid on the April 15 deadline. Electronic file providers often display the total amount you are owed as a refund for the prior year. If you are due a refund for the current year, expect an offset by the IRS. An offset occurs when the IRS keeps all or part of your refund to cover a past-due debt owed to a local, state or federal agency. The IRS sends notice of the offset before and after the offset occurs. The offset notice explains the offset, the date of the offset and the amount taken to cover the bill. While you can e-file this year's return, you cannot electronically file tax returns for previous years. Prior-year tax returns must be paper-filed on the appropriate form and submitted by mail to the IRS. All prior-year forms are available on the IRS website or by calling 1-800-TAX-FORM. Past-due balances continue to accrue interest and are at risk of the IRS balance due department escalating collection efforts. The IRS offers installment agreements to taxpayers who owe a tax debt. Installment agreements allow the taxpayer to pay off the balance over a set period of time with monthly payments. Collection efforts are suspended during this time – however you continue to accrue interest on the past-due balance. Until you pay your debt, if you owe back taxes, it will delay your refund. Intuit Turbotax: Video: Can I E-File If I Owe Taxes? Do I Need to File a Tax Return for the FAFSA? Can I Amend If I Missed a Deduction? Can Income Taxes Be Filed From Previous Years? "How Do I Report Income for Married, Filing Separately in Arizona?" 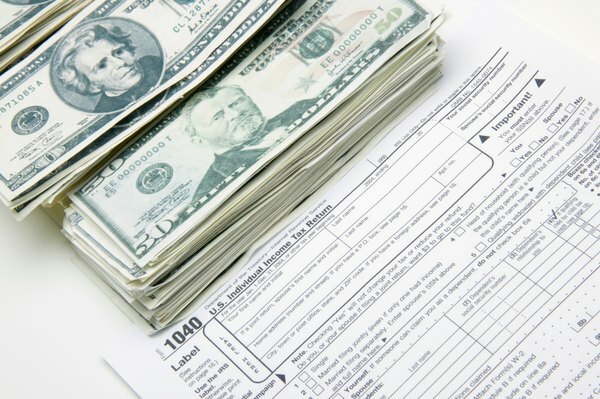 Can I Pay Installments on Federal Income Taxes I Owe if I Can't Afford to Pay It All at Once? Do I Need to File a Mortgage Exemption if I Refinance?